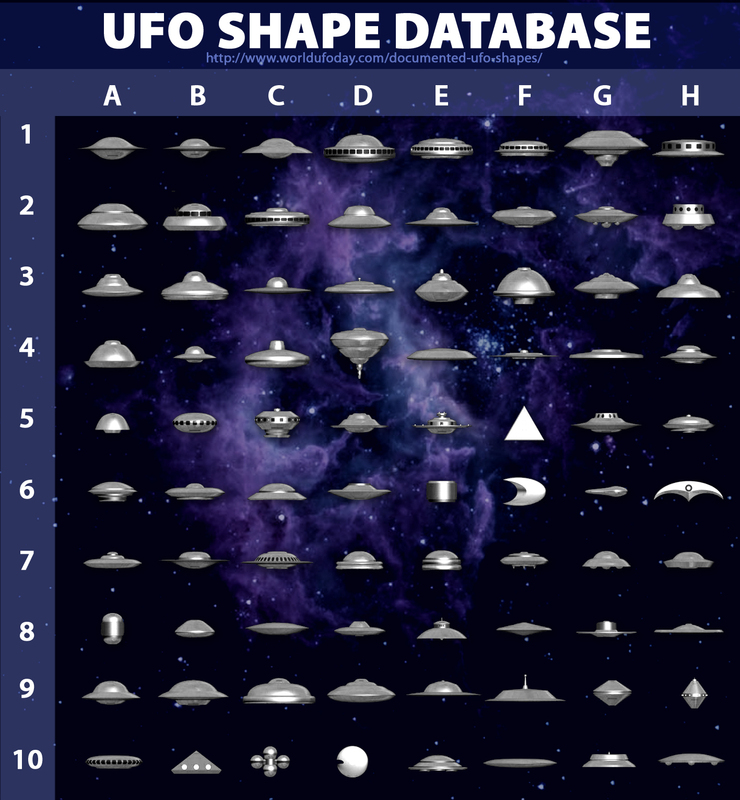 These 90 ufo shapes are based on witness testimonies and photographed material. If you have seen any of these shapes, feel free to share this with our community by commenting. Click the image for full view.